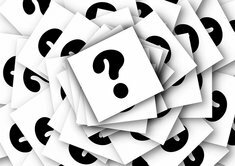 I'm looking for a safe, fuel-efficient, reliable, newer car. 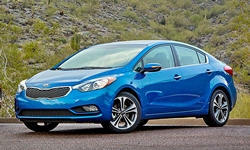 It will be a daily driver (20 mile commute), similar short distances on weekends, and used for 1-2 road trips per year. I have previously owned/driven a 1997 Mercedes C230 and 2006 Mercedes E350 and performed most of my own light-to-moderate maintenance and upkeep (oil changes, camshaft solenoids, crankshaft position sensor, thermostat) although I am not looking for my next car to be a luxury car. If possible, I'd like for it to be easy to work on, inexpensive to maintain, and have decent looks and performance. Thanks for any and all recommendations! I suggest looking into Hyundai Sonata. I purchased a used 08 Sonata 4 cyl for my son. I was pleasently surprised by the ride comfort and space. Under the hood everything seems to be very easy to reach. After all there is room for a 6 cylinder engine. 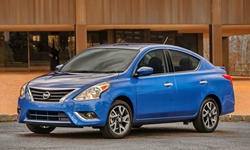 My son told me that it uses no more fuel than theold 98 Mazda Protege with manual transmission. You would be looking into the next generation Sonata. I would expect it being just a little better yet in all aspects. It's hard for me to offer recommendations because so many cars fit your criteria. What size car are you looking for? Which cars do you find attractive? Sales of compact and midsize sedans have been sluggish, so you can probably get a fairly new car for $15,000. 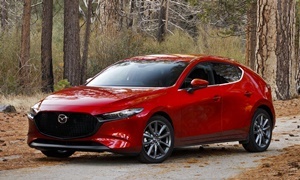 The 2014-2015 Mazda6 could be a good fit. It looks bad in our reliability stats lately, but this is due to two common but minor problems with the door seals (many have been replaced due to excessive wind noise) and the Bluetooth module. 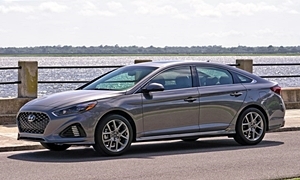 The 2015 Hyundai Sonata is a much better car than earlier Sonatas, and quite a few are already available in your price range. 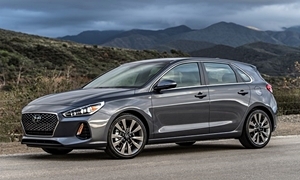 If you don't need a car as large as these, you'll have even more to choose or get a car with more features from among compacts such as teh Mazda3 (I much prefer the s, with the 2.5-liter engine), Hyundai Elantra GT (offered only as a hatchback, I'd get the 2014 and up, which has a larger engine), Kia Forte, or Buick Verano. For detailed pros and cons of any of these, check my reviews on the site. Thanks for the responses! I test drove a 2013 and 2016 Camry XLE I4 and XSE V6, respectively, and liked the ride on both just fine. I definitely wish to stick to a mid-size sedan rather than a compact, as I'm just used to the extra room. I plan on test driving a 2014 Mazda6 tomorrow. I hear everything late-2014 and onwards has had the wind noise issue fixed, and that there's a TSB out for the previously affected models. I just don't know about a Hyundai. Call it brand disloyalty but I just don't see myself driving one. If a dealership I visit has one I will try to take it for a test drive. The XSE didn't ride much more firmly than the XLE? I imagine it depends on the quality of the roads. 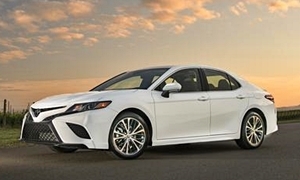 The Camry is always a very safe bet. 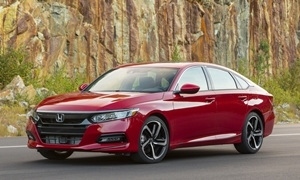 And if you're considering the Camry, you might as well check out the Accord. All very safe, reliable and relatively comfortable vehicles. 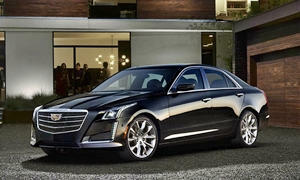 The CTS 3.6l would satisfy your thirst for luxury. Or even the 2.0T version.